Losing an inspirational figure around the academy isn’t the only negative for Liverpool after Steven Gerrard moved to be Glasgow Rangers manager. Having an iconic player such as Gerrard around the Reds’ Kirkby academy base has been inspirational for players and staff alike. Losing him will be a big loss. Gerrard’s presence in his 15 months at Liverpool’s academy has been positive; notably evidenced by the sight of Curtis Jones, a player Gerrard has particularly worked with and mentored since last summer, celebrating as part of the first-team squad in Rome on Wednesday. 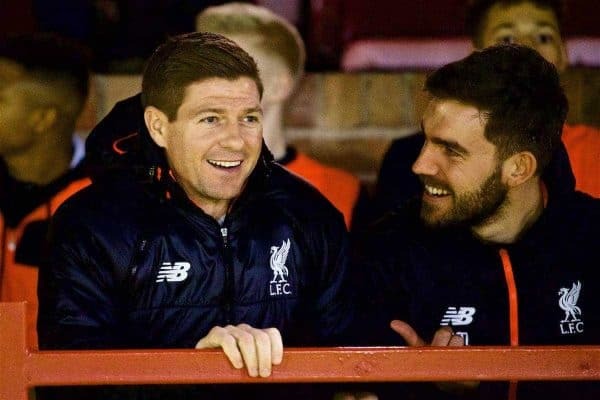 But Gerrard is not the only loss, as the former Liverpool captain is will take the current Under-18s assistant coach, Tom Culshaw, and fitness coach Jordan Milsom, with him north of the border. Former U23s manager Michael Beale, who only returned to Kirkby as head of coaching for the foundation phase in September, has been drafted in as part of Rangers’ backroom staff too. They will also be joined by another former Liverpool player, Gary McAllister – who will be Gerrard’s assistant manager. McAllister has been working as a club ambassador since Brendan Rodgers’ departure from the club two and a half years ago. Culshaw – who was a youth player at the Reds’ academy alongside Jamie Redknapp, Robbie Fowler, and Steve McManaman before being released just as Gerrard was making his first steps into first-team football – has been part of the academy coaching setup since 2011. Milsom has been at the club since 2010 and moved to Melwood to work with the first-team in 2017 before returning to academy level last summer to work alongside Gerrard. Losing four members of staff from the academy is far from ideal for Liverpool, especially after Pepijn Lijnders’ departure in January when the highly-rated and likeable Dutch coach took up the manager job at NEC. Arguably it will be Gerrard’s presence that will have the biggest impact on the players; after all, who wouldn’t be excited to be coached by a player of his calibre, but it’s the loss of two long-serving coaches that could leave the biggest hole longer term. It means there will need to be another reshuffle at the academy this summer, with a host of appointments required, and it will be interesting to see if Lijnders is replaced. 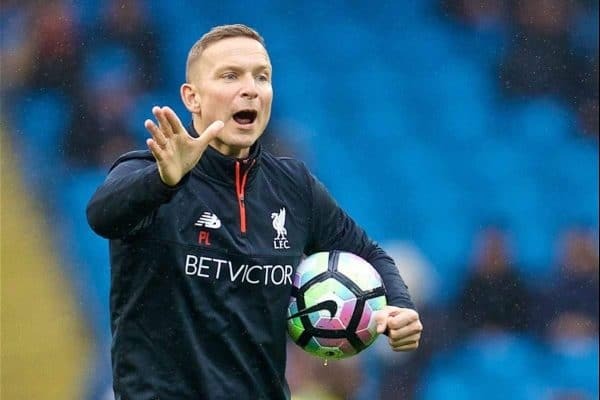 Lijnders’ role as first-team development coach was seen as the vital bridge between Kirkby and Melwood, particularly with the geographical distance between the two sites. Prior to his departure, Lijnders took up a very prominent role at Melwood and also in the first-team’s pre-match preparations. Since then, fitness coach Andreas Kornmayer has played an increased role and oversees matchday preparation. With first-team assistant Zeljko Buvac’s future also subject to uncertainy, it all makes for a crucial time for Liverpool’s coaching staff this summer. As Gerrard heads to Glasgow seeking the competitive environment he so thrived in as a player, he leaves Liverpool’s academy looking for replacements.